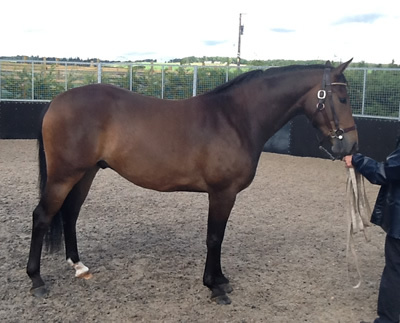 Quality homebred 4yr old dark bay 16.3hh gelding by Solaris Amoureaux, sire of BYEH 4yr old winner 2017 out of a mare by Louella Inschello by Inschallah – famous performance breeding. Exceptionally good looking, enough substance and quality limbs to make top show horse. Full of presence with a very balanced and comfortable ride. Working well in all three paces and proving to be bold jumping small logs. Tremendous to hack out in company or alone. Fantastic temperament that will excel in any sphere. Half brother to Secret Solitair – 2nd Royal International 2017, winner Yorkshire Sports Horse Show and Champion worker at many county shows. 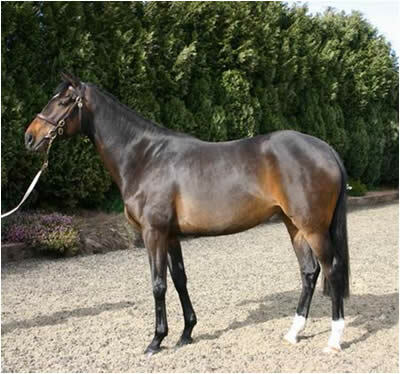 Half brother to the dun Secret Shutterfly sold recently to Yorkshire for workers, side saddle and event. Champion Sports Horse outstanding show quality 13 yrs graded broodmare with exceptional Primitive Proposal colt foal at foot and scanned in foal to Primative Proposal 2015. Winner many county workers inc RIHS qualifiers, Scottish Champs Blair three consecutive years. Showjumped to Grade C. Quality, clean limbs, extravagant straight movement. Her 2yr old by Contendros was Champion Scottish Sports Horse at Royal Highland 2014 and Champion Northern Foal Show 2012. Excellent mother and a serious investment for future breeding. Quality 3yr old home bred mature dark brown gelding by Sir Shutterfly. 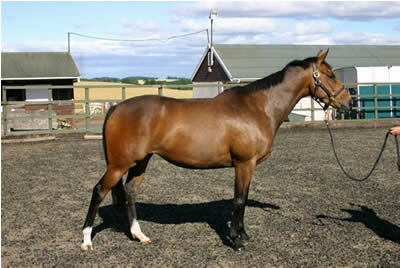 Clean limbed, flat boned, excellent and very correct straight mover. Good Shoulder with a tremendous length of reign. Very easy to do, lived out last winter with rug. Starting to break him and proving no problem. By the well known and prolific Sir Sutterfly the full brother to Shutterfly, this 3 yr old has a premium pedigree with his dam by Louella Inschello by Louella Inschallah. His siblings have competed at final of Burghley Young Event Horse, Champion Working Hunter, evented and been exported abroad for dressage. He would excel in novice classes next year and a great prospect for the future. Bright bay filly 4yrs old by Accondy.Very good looking, quality limbs and movement.Second Scottish Sports Horse Performance Show. Brocken and ridden away around XC and through water. Superb potential as competition horse. Bay filly 2003. Sire Bal Harbour. Dam Curlew Calling (Ire). 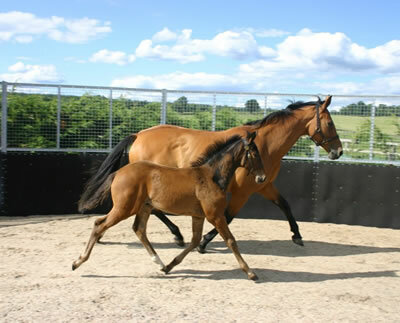 Quality filly, good quality limbs and straight movement, good walk, lunged and very well handled. 1st Kirriemuir Pre Novice 15/4/06, 2nd Central Scotland Pre Novice 1/5/06. Finished on dressage score at both events. 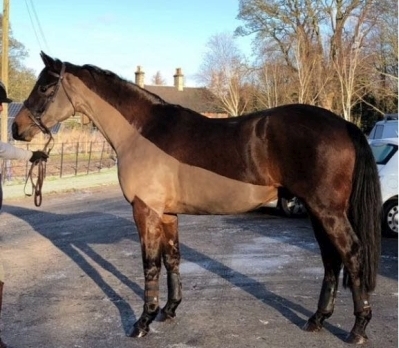 By Primitive Rising very good looking, 5yr old, 15.2hh excellent paces, outstanding competition horse exceptional scopey jump very bold cross country. Beautifully balanced ride. Double Clear two PAVO 4 yr old Intros and qualified S.A.I.S Championship, jumping BSJA Discovery easily ready Pre Novice Spring. Good to box, shoe, clip etc….Excellent trial facilities. Qualified 2006 PAVO 4 year old Breeding Championship. 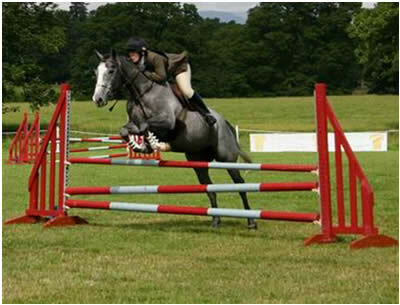 Quality steel homebred grey mare, Sire: Accondy. 5yrs, 15.2, big ride, would suit rider looking for 16H horse. 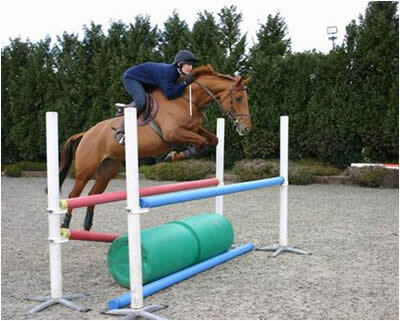 Good conformation,- big shoulder, free movement with very bold jump, ridden by 5’7” adult. Three balanced paces, excellent competition prospect. 5th PAVO 4yr old Strathallan Horse Trials (first outing) – calm, obedient test, clear cross country. Schooled PN XC, double clears BSJA BN, jumping discovery at home, hunted opening meetdraghounds up front all day. Has competed PN Arena Eventing 07, jumping bounces, corners, water trays etc. Dark bay 16.3hh, 4 year old, mare by Terimon. Dam Anamasi – ran three times over hurdles. Exceptionally well bred, half sisiter to Navarone – won six races £73,855, also winner over hurdles at 6years £6,120 over fences £67,735 as 8/9 yr old. Half sister to Alformasi in training with Paul Nicolls, owned John Hales, placed hurdling 2006. 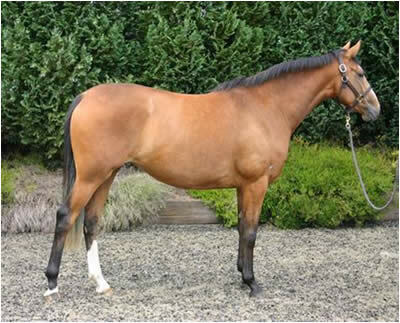 Very good looking, athletic horse, well handled , excellent mover on lunge.